THIS WEEK IN THE BUSINESS | Metro Exodus thumbs its nose at Steam, EA admits defeat in FIFA Ultimate Team fight, and nobody wants a pre-owned GameStop. This week's biggest news was a bit of an unlikely candidate. Deep Silver's decision to make Metro Exodus exclusive to the Epic Games store is another significant shot in Epic's struggle to carve out part of the market dominated by Valve's Steam storefront, but it's not the first big game this has happened with (The Division 2), it's just one version of a multiplatform title. Pre-orders are still being honored, and the game and its DLC will be supported and available on Steam for those who preordered it (or buy it when what we assume is a timed exclusivity window lapses). But the story wouldn't die, from Deep Silver's sister company THQ Nordic distancing itself from the issue, to Valve saying the move was unfair to customers, to Deep Silver's parent company THQ Nordic (technically a separate THQ Nordic which is changing its name to avoid exactly this kind of confusion) supporting both of its subsidiaries' stances. And of course, there were plenty of pundits to weigh in on the situation (USgamer's is here; GamesIndustry.biz's is linked below). Don't sleep on the rest of the week's news, though. There were a few developments in the ongoing debate over loot boxes that could gain greater significance as the prospect of governments legislating the mechanic looms, and debt-saddled retailer GameStop gave up looking for someone to swoop in and buy the company. Physical game sales are a shrinking share of the industry, but GameStop still holds a significant chunk of that market, and it's unclear how the U.S. industry would look should the worst come to pass for it. QUOTE | "We think the decision to remove the game is unfair to Steam customers, especially after a long pre-sale period." - A Valve update on the Steam page for Metro Exodus, which publisher Deep Silver announced would be exclusive to the Epic Games store when it launches later this month. QUOTE | "This is the reality of what competition in this market actually looks like; any serious competitor to Steam was going to need to have financial clout and a willingness to use it, because the sheer inertia behind the Steam platform is enormous." - GamesIndustry.biz's Rob Fahey argues that exclusivity arrangements are necessary for a serious challenge to Steam's hold on the market. QUOTE | "GameStop's Board has now terminated efforts to pursue a sale of the company due to the lack of available financing on terms that would be commercially acceptable to a prospective acquiror." - GameStop tells investors it's not going to be able to sell the company any time soon, news which sent the retailer's stock plunging down more than 25 percent. STAT | 12.08 million - Copies of Super Smash Bros. Ultimate sold since its December 7 launch, making it the fastest-selling game on a Nintendo home console ever. STAT | 39 percent - Percentage of parents of children aged 5-15 who have concerns about the pressure put on kids to make in-game purchases, up from 30 percent last year. QUOTE | "While we are taking this action, we do not agree with Belgian authorities' interpretation of the law, and we will continue to seek more clarity on the matter as we go forward." - EA stopped offering FIFA points for sale in Belgium after the country ruled Ultimate Team packs were illegal gambling, but it wasn't happy about it. QUOTE | "The industry's arguments would be more persuasive if it wasn't embracing business models that not only benefit from what we might think of as addictive play, but essentially require it to be viable." - Me, pointing out that the games industry's defenses on loot box and addiction concerns have all the credibility of Facebook talking about how seriously it takes your privacy. QUOTE | "From a psychological standpoint, it's gotten tougher because international people looking at the U.S. are shying away. They're much more hesitant. Let me put it that way." - Max Hoberman of Austin, Texas-based Certain Affinity explains that the studio chose Toronto for a second branch in part because it makes recruiting international talent much easier. QUOTE | "The trouble with Early Access as a funding mechanism is once you've sold a copy, you've made a promise to give someone a complete game that matches the description of what it was going to be." 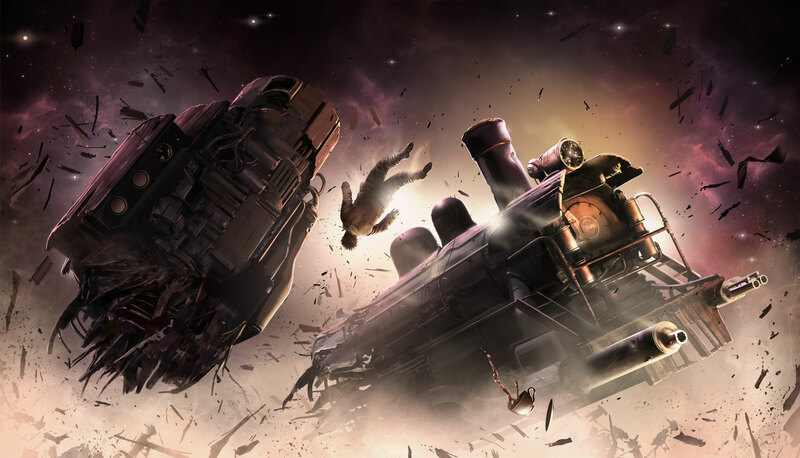 - Failbetter Games deputy CEO Adam Myers talks about Sunless Skies and its rocky road from Early Access debut to this week's full launch. QUOTE | "Basically, a lot of it was done because it was cool, or it felt right, but nobody had thought about why. I had to go in and wrap a narrative around what was there, which would be a completely backward way of working in other entertainment mediums." - On Mirror's Edge, writer Rhianna Pratchett considered herself a "narrative paramedic," an emergency worker surgically grafting stories onto in-development games. QUOTE | "We want to port our engine and pipeline to all next gen platforms to be able to compete with the best triple-A studios and to integrate new advanced features in our games." - Quantic Dream co-CEO Guillaume de Fondaumière confirms that with the recent minority investment in the studio from NetEase, the Detroit: Become Human developer is going multiplatform. Tagged with Action,	Epic Games Store,	gamestop,	loot boxes,	News,	PC,	Shooters,	Steam.